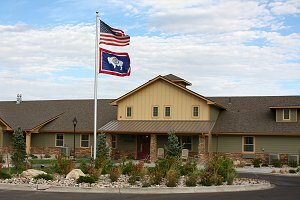 Aside from Deer Trail Assisted Living in Rock Springs, Wyoming; The Encore Partners have also recently opened another community in Casper, Wyoming called Mountain Plaza Assisted Living. The goal of the group is to open similar exceptional assisted living and memory care communities throughout Wyoming, Colorado, western Nebraska, Utah and New Mexico. 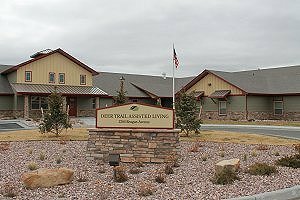 Located in Rock Springs, Wyoming adjacent to the Young At Heart Senior Center on Reagan Avenue, this 57-apartment Assisted Living and Memory Care community is a welcome additional to the Rock Springs and Green River market. The project is fully financed by a Wyoming investor and opened in March 2012. Located in Casper, Wyoming, this 54-apartment Assisted Living and Memory Care community is designed with the highest resident amentities in mind, yet maintains price points equal to or lower than competitors. The approximately $8.9 million project uses a HUD 232 construction loan. The property was designed by Kephart.